This Nativity is made of ebony wood, the hardest known wood. It is hand-carved by an artist from the Makonde people of Tanzania. 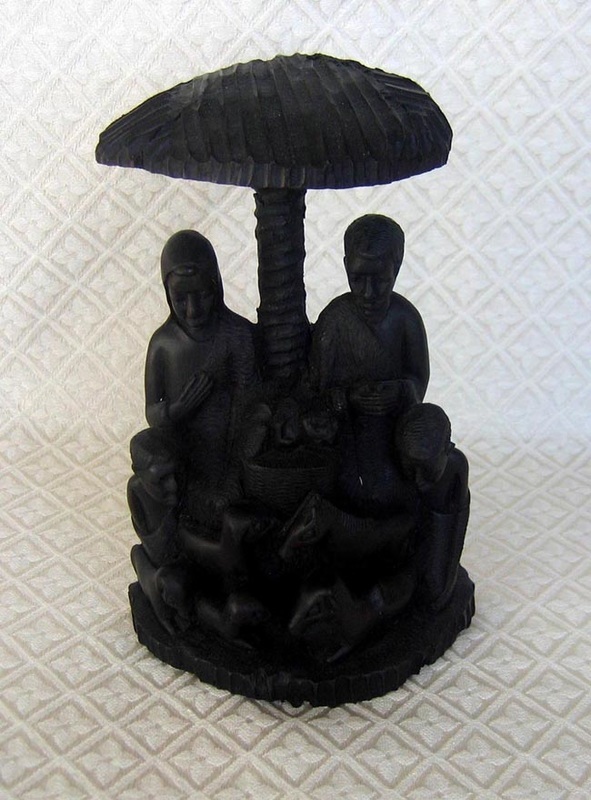 Mary, Joseph and the baby Jesus sit under a palm tree and are surrounded by shepherds and their sheep—or goats, since this is an African piece. This item measures: 8 inches tall by 5 inches wide by 2.5 inches deep.